So far, it has been quite a nice weekend with emotional hiccups (now already resolved). Family conflicts kept on coming up and solving them one by one was no easy task. If there's one thing I do advise, that will be to keep yourself humble, forgiving and loving. As the song goes, "let it go". I still have two days off, so here I am trying to make everything work and at the same time, enjoy the free time that I have before I go back to work. It was a 20 mins. nonstop workout. Yes, it's enjoyable especially if you're playing it with Mac. He's just the funniest dancer ever. Anyway, we only lasts 20 mins. each day, I just can't go further. Watch dramatic tv shows: MMK and Wagas. Two Filipino shows that just touches your heart in the most painful way. That's why I always have tissue on hand because sometimes it becomes unbearable that tears will roll out from my cheeks without warning. Watch Philippine movies: Starting over again; ABNKKBSNPLK; Diary ng panget. These 3 movies never cease to amaze me, although sometimes it can be dragging and quite annoying. Starting over again is a movie that teaches us to move on, let go with the past and just simply start over again. Exes are exes for a reason and that is - you're not meant to be. ABNKKBSNPLK or a text form of "Oh I can read" is a movie based on a book written by Bob Ong - the Filipino writer that influenced me years ago. The movie gives a lot of focus to the love story which I dislike because they could have put the effort in making the all about "childhood school memories" better. It was a bit of a let down, I had nicer imagination while reading the book. Diary ng Panget or "Diary of an ugly girl" is a teenage movie. I will never be too old in this kind of movie. It is good and convincing that I saw myself in the situation of the teenage girl. Growing up and actually even now, I have a lot of insecurities in my body. The movie itself shows that a simple and funny girl can catch the rude heart of a handsome monster. Listen to podcasts. 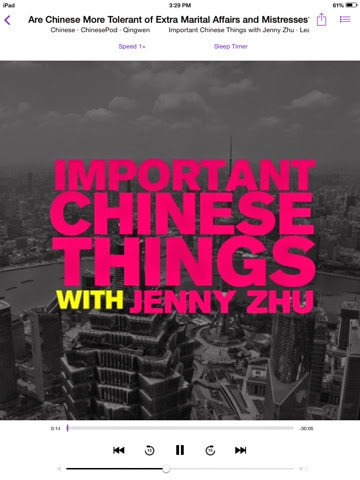 Important Chinese things by Jenny Zhu is my favorite because it teaches me a few Mandarin words and China issues which are normally spoken in Chinese. This podcast tackle the topics in 2 language which makes it quite easy to learn Mandarin. I wonder if there's a Cantonese/ English podcast that can be found though, I can really use more Cantonese here. Hangout with friends. I went into a friend's birthday and we ate a lot, drank a lot. It was really good! 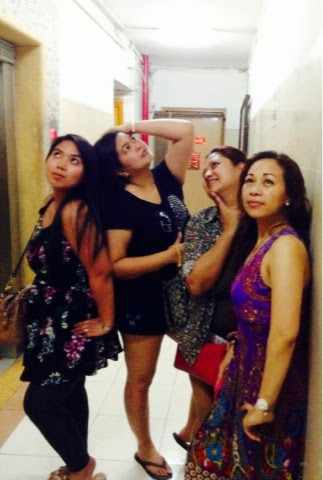 This morning as well, we did hike in Tsuen Wan and tried burning the calories we had the night before. We did this trail a number of times already but the scenery I definitely won't ever get tired of. I don't really have a plan tomorrow. Maybe to avoid conflicts, I will simply stay at home, do chores and cook for my husband. That has been the complaint lately (me not cooking) so in order to make it up to him, I cooked Nilaga, a famous Philippine dish with pork and potatoes and soup. It is his favorite back in our old home. He do have a point, I should cook whenever I have the chance. After all, I am the housewife here. The thing about women being able to be a full time worker and a housewife at the same time is still so underrated. Even in your off days, you are expected to do household chores. I don't know about other guys, but my husband just relax during his off. He sometimes help but never going beyond than what is expected. It is a sad story actually that I hope one day, it will be understood that women too need a break. I don't want to give the wrong idea. My husband is a nice guy, it is just that doing household chores is one of his weakness. This week, I have heard my Mom's disappointed voice and saw my Dad's annoyed look like I have done a really big mistake. The truth is I have been going through emotional constraint and I actually need more patience right now. I am a human with feelings too. This week, none of these three important people asked if I am okay or if I eaten already. Once again, I felt sad and really depressed. Luckily, I have the hobbies mentioned above that keeps me sane. Luckily, I get to laugh, learn new things or breathe out the bad air in my system. Luckily, I have my friends to run to and speak with. Marriage is not my only problem but taking a breather is very important so that you will be able to see things clearly later and you will be able to decide on your next step. I don't want to make any drastic measures with myself being emotional and all that. Whatever my plan is, we'll see what will happen. Maybe I will try to be more patient, understanding and again... More loving.